There are tremendous benefits to be achieved through regular massage therapy treatments from a registered RJS massage therapist. Whether your need is to have a moment of relaxation, reduce muscle tension or attain relief from chronic pain, a therapeutic massage can enhance your overall sense of emotional and physical well-being. Massage therapy can be used for the treatment of both acute and chronic conditions. Massage therapists at RJS work with a wide variety of patients, of all ages, in the treatment of illness, injury rehabilitation and disability. 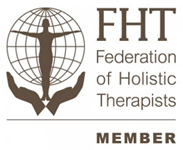 Massage Therapists today use their knowledge of physiology and anatomy to combine traditional and modern massage therapy techniques with other therapies to treat their clients. There has been a wide variety of research, published in peer reviewed journals, proving the benefits of massage therapy for various conditions. Below is a list of various benefits for different functions of the body. Improves circulation – brings nourishment to skin. Increases the removal of waste. Small fibrous skin growths and milia can disperse naturally. Skin becomes soft and smooth, rough skin is gradually desquamated. Wrinkles appear to be delayed or appear less obvious. Relieves fatigue in muscle tissue by removing lactic acid. Relaxes tense, contracted muscles and reduces muscle spasm. Break down of adhesions formed between fascia and fibres. Increased range of motion around joints. Pumping effect stimulates the circulation of blood and increases the supply and removal of substances on a cellular level, thus improving tissue nutrition. Stimulates venous return, especially in areas of weaker pressure i.e. lower legs. Forces blood through the capillaries and arterioles, stretching the vessel walls which can increase their size, capacity and function. Stimulates the flow of lymph through the vessels, filtering out toxins. Stimulates the nerve receptors in the tissues that control nervous tension. Mechano-receptors (touch, pressure, temp) are also stimulated, and have a reflex effect, which leads to further relaxation of tissues and a reduction in pain.